Discover Beckii's Youtube and Instagram stats, most viewed videos and tag analysis. I'm Beckii! I live in London, but I'm from the Isle of Man. I started YouTube in 2007. 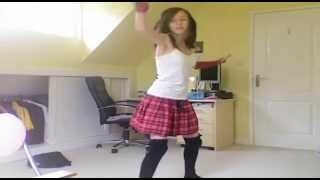 I began by making dance videos to J-Pop, when one of my videos went viral in Japan. I love big memes & fashion, I love vintage shopping a lot. In the day I work part time at an influencer marketing company, and in the rest of my time I do YouTube. lifetime views (10.11.15) - 26,958,769 many of my old dance videos are now deleted due to copyright! Get inspired by discovering the TOP 100 Youtube videos of Beckii. kermit, stop..!! youre gonna get in trouble! i finally bought the real Gucci Belt. Discover which video tags are used by Beckii for the most videos.